As one of the most popular sports in the world, bowling is truly for everyone. It’s a pastime that is practically universally loved. 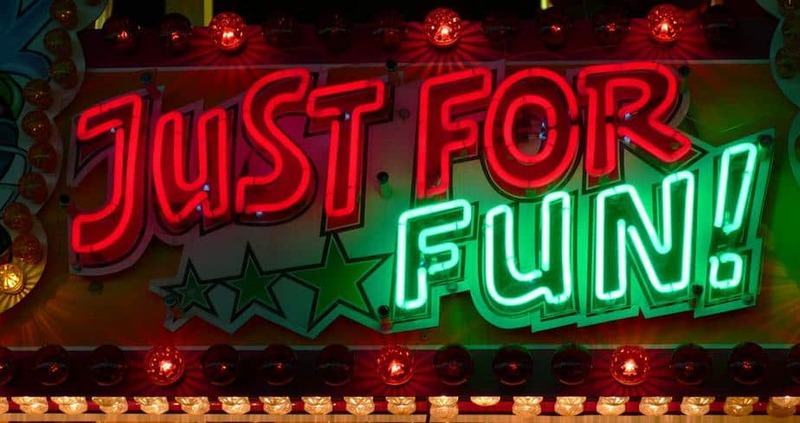 Whether you’re a seasoned professional, bowling novice, or just looking for a fun way to spend the evening with friends, there’s something for everyone. But that doesn’t mean that every bowling alley is for everyone. The best bowling night in Paris starts with choosing the best alley for you and your pals. 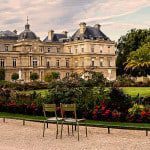 The twenty arrondissements and surrounding areas offer a variety of options. 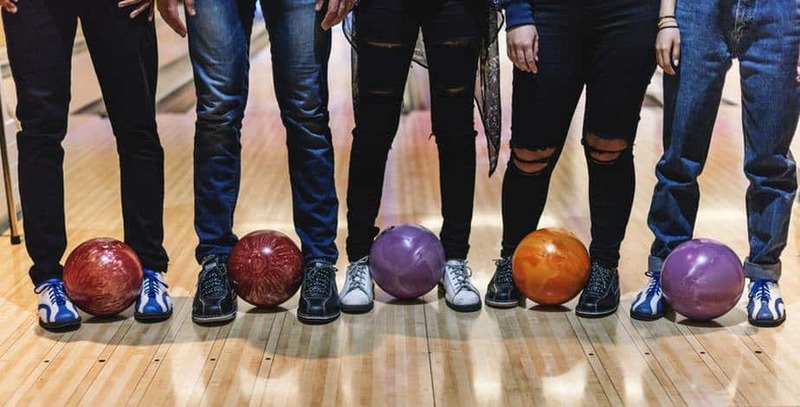 From traditional to glitzy, this guide will point you in the right direction and help you on your way to the best bowling in Paris. As we’ve established, the venue can make or break the evening. A kitschy alley that smells of old beer and stale hot dogs probably isn’t Plan A for a date night. The atmosphere, vibe, beverage offerings, etc. need to fit your mood. Meaning that a little planning can really go a long way when it comes to bowling in Paris. 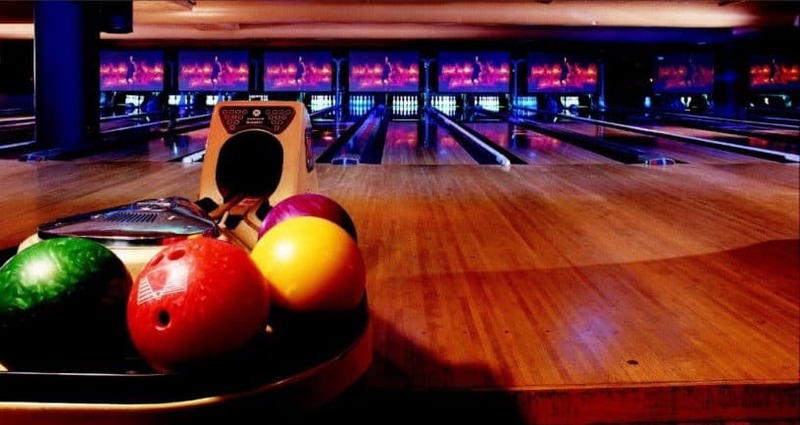 We’ve broken down the best places to go by location based on the type of bowling soirée you’re after. As Paris’s more vibrant side, Rive Droite definitely has more to offer by way of bowling alleys. 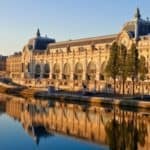 Considered by some to be one of the best things to do in the Right Bank of Paris, the bowling options on this side of the river range from classic bowling to full-on discotheque. 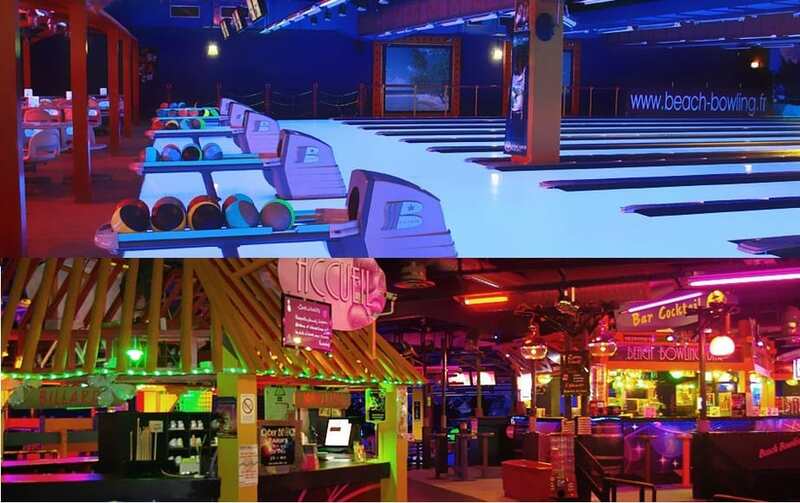 Located near the Arc de Triomphe, Bowling Foch can best be described as an “entertainment complex.” If you’re looking to go “all-in” on bowling night, this is probably your best bet. Inside the complex is a 15-lane bowling alley, restaurant, bar, and nightclub. There’s a distinct disco vibe that’s a bit reminiscent of The Big Lebowski– a great thing in our book. As it is quite central, Bowling Foch tends to get a bit crowded on the weekends. So, wait times can be quite long on Saturday nights. 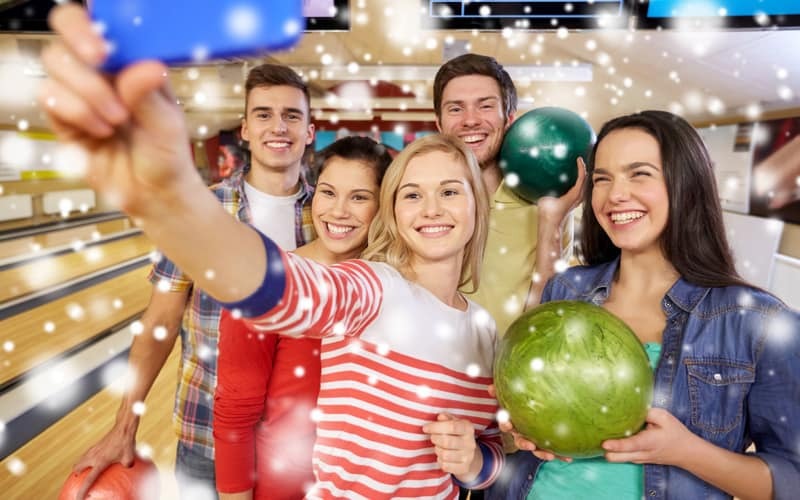 Fortunately, Bowling Foch is a great place to relax over a few beers with friends, dance the night away, and snap up a lane when one finally clears. 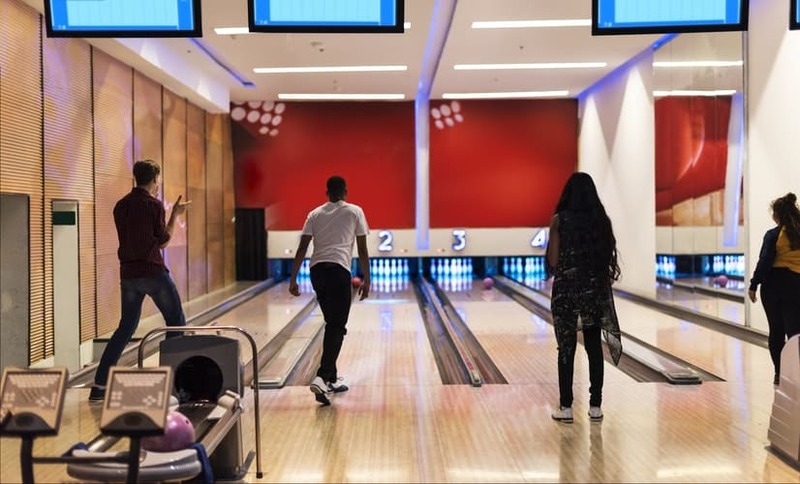 A right-bank bowing institution, Bowling Champerret is great for a chill night of low-key bowling fun. With 18 lanes it is quite big but can get busy on weekends and school holidays. However, they allow advance booking by phone on Friday and Saturday evenings. 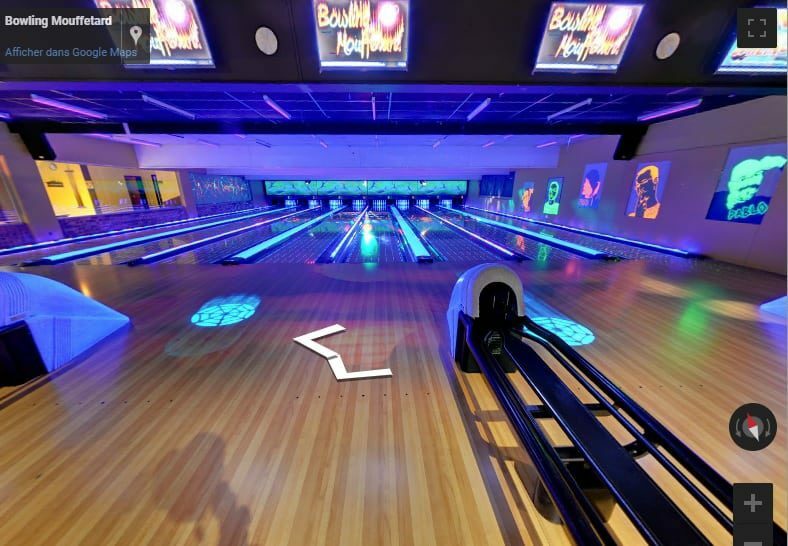 Bowling Champerret offers a limited selection of arcade games, as well as a stocked bar, but as far as entertainment goes, bowling is definitely the main event here. Perfect for a chill night with friends, bowling at Le Bar à Pintes will be the best 5 euros you’ve ever spent in Paris. The grapefruit-sized bowling balls make it seem slightly more like a game of petanque than traditional bowling but is a ton of fun nonetheless. And the fact that there are no special bowling shoes required further solidifies the fun, amateur vibe. 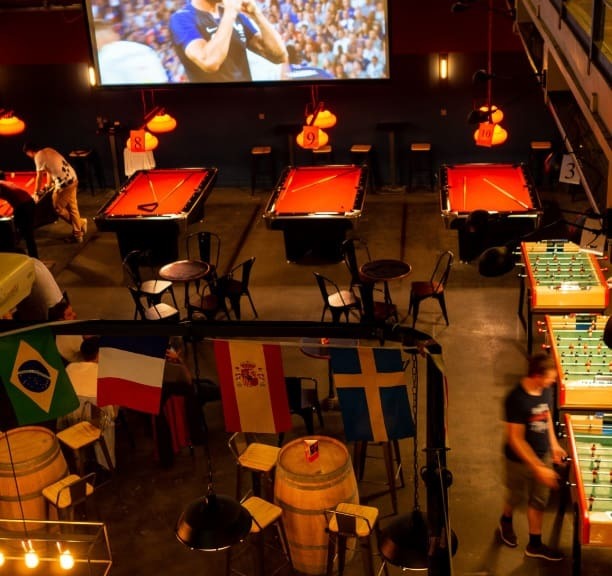 With a number of screens showing various games, this place has a genuine sports bar vibe–which can be hard to find in Paris. They also offer “babyfoot” (aka Foosball) as well as billiards. Wait times can be pretty long on the weekends for the different games. However, with so much to do, we guarantee you won’t mind spending a few hours at Le Bar à Pintes. As far as bowling, there are fewer options on Paris’s glitzier left bank. However, if you find yourself in the southern arrondissements, you still have two solid options. Opened in 1976, Bowling de Paris Front de Seine is a long-time Paris bowling institution, owned by the same group as Bowling Champerret. The venue regularly hosts national and international tournaments and federal and corporate leagues. However, don’t let that make you think this place is only for the pros. 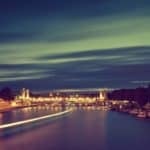 With a large choice of drinks and cheap off-peak prices, Bowling de Paris Front de Seine is a great place for a casual night out. The atmosphere is very laid-back, and the clientele range from tourists to bowling league regulars. 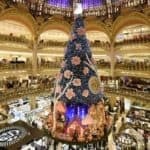 With 20 lanes, the place is big (especially by Paris standards), so you have a great shot at getting a lane, even on a busy evening. Overall, Bowling de Paris Front de Seine is a fine place for a game of tenpins. Bowling Mouffetard is a casual, family-friendly alley that is located beneath Rue Mouffetard. It’s location underground makes it a bit tricky to find, but the family-friendly packages will make the extra effort worth your while. The venue is fairly small (only eight lanes), but advanced booking is available. The retro-decor teeters a bit on kitschy, but the choice of games and billiards tables more than makes up for it. According to a few visitors, the equipment isn’t exactly professional-grade, so don’t come here expecting to bowl a personal best. 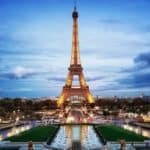 As far as price, there are good early-bird deals, and the weekend price is consistent with other bowling alleys in Paris. While not in the 75, there are a few great bowling alleys located just outside Paris. With more space and fewer crowds, these alleys just might be worth the hike from Central Paris. 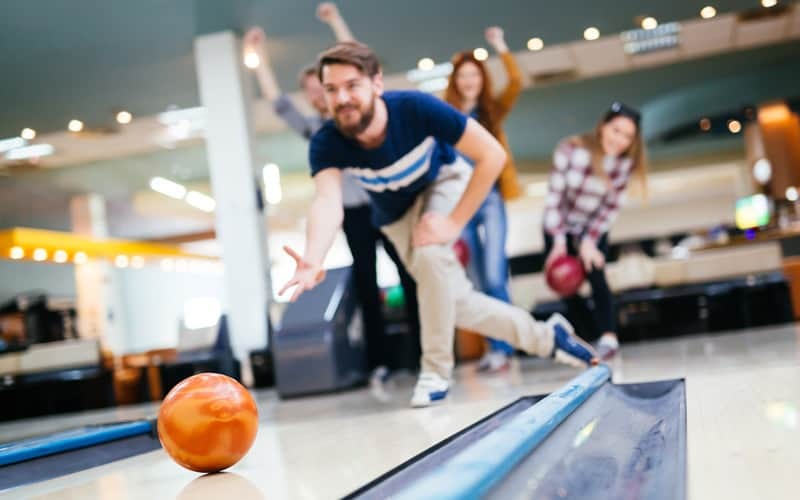 Located about a 13-minute walk from the Esplanade de La Défense stop on Line 1, Bowling Courbevoie is a great option if you’re hoping to beat the crowds. With 12 lanes, 4 billiards tables, and shuffleboard, there are quite a few options if you do need to wait for a lane. Just a tip: the entrance to the venue is a little on the strange side, however, don’t let that deter you, all is well inside. Open until 2am, Bowling Striky is a great option if you’re looking for a late night spot outside of central Paris. Reaching the alley is a bit more tricky on public transportation, but possible. It’s about a 20-minute walk from the Joinville-le-Pont stop on the RER A. 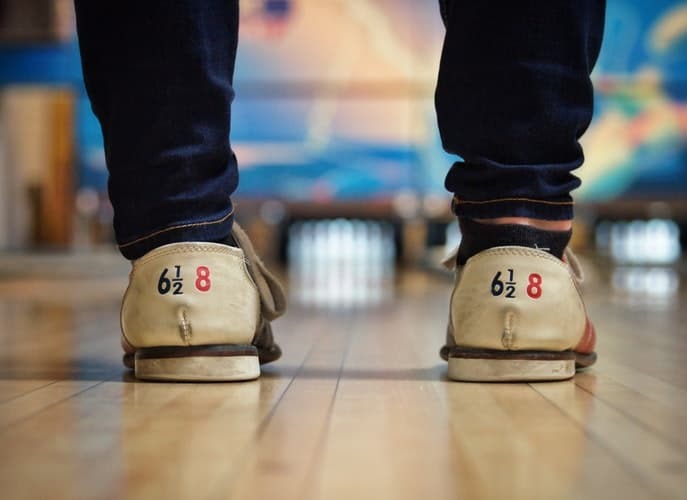 Bowling Striky, like others in the banlieue, is low on frills and great for a casual night. In addition to bowling, there are also billiards tables, food, and a small bar. With 24 lanes, billiards, karaoke, cocktails, and a large arcade, Beach Bowling is easily the best option outside of Paris. As the name suggests, the place is decked out in beach-inspired decor. While nothing can make a basement inside a “centre commercial” in Thiais feel like the beach, it does add to the fun atmosphere. 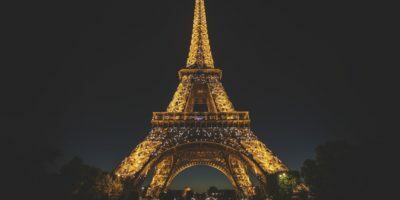 As with most activities in a major city such as Paris, booking in advance is essential if you want to avoid disappointment. 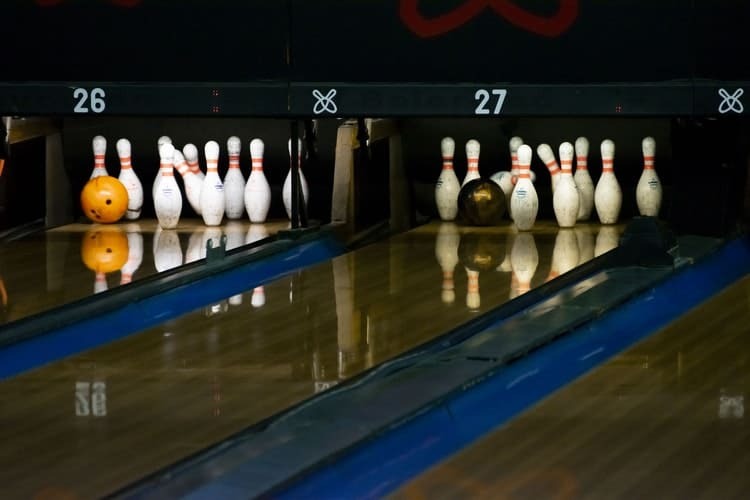 Each bowling alley has their own policies regarding booking, so it’s best to contact the venue directly or check online. Many allow bookings on weekends only, or exclusively for large groups. Have a headcount in mind when you call or make an online booking. Sometimes if not every member of your group is not present you will be forced to give up your reservation. Bowling is one of the few things in life that is actually more fun the worse you are. So, to enjoy the best bowling night in Paris, relax and have fun. Don’t worry about what those around you may or may not think of your bowling skills (or lack thereof). One thing most bowling alleys in Paris have in common is alcohol. It’s common for adults to have a few drinks while bowling and enjoying other activities. 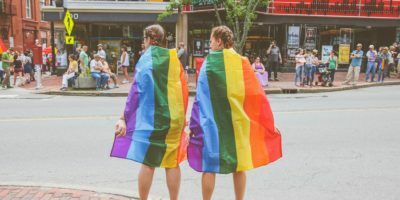 However, most alleys are also family-friendly venues and you may be asked to leave if you/your party is a little too rowdy. Remember, French children tend to stay up later than what is common in countries such as the US, for example. So, even if you think it might be too late for kids to still be bowling, you might want to double check. 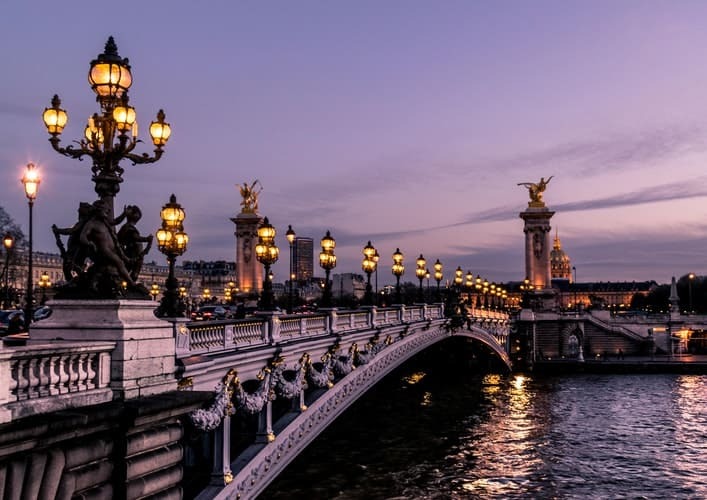 Shannen is an American expat who now calls Paris home. She lives in Montmartre with her boyfriend and Parisian puppy, Paddington. 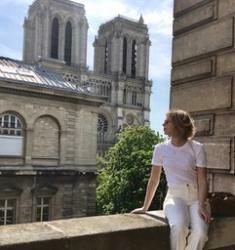 When not busy polishing her French skills or scouting out new dog parks, she can usually be found drinking wine and in constant pursuit of the perfect Parisian terrace.